Canterbury is the largest region on the New Zealand’s South Island, both by area and population. 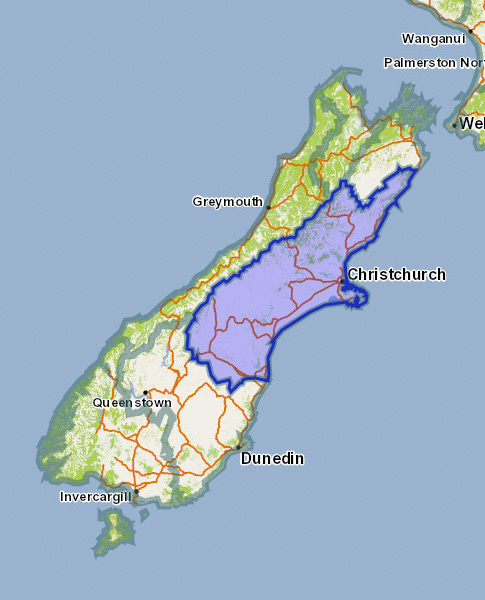 The Canterbury Region covers a good portion of the eastern side of the island and includes Christchurch, the largest city on the South Island. Half of the Southern Alps fall within Canterbury, including the areas of Arthur’s Pass National Park and Aoraki Mount Cook National Park. The Canterbury Region of New Zealand has many good places to camp. The Canterbury Region of New Zealand has additional accommodations.